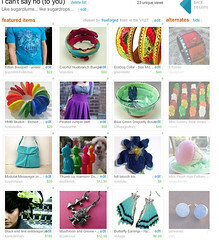 I managed to snag a treasury slot the other night, make sure to check it out! I own items from several of these sellers and highly recommend them; the rest are items I covet or from shops I enjoy. Previous post: Attention Treehuggers of DFW!